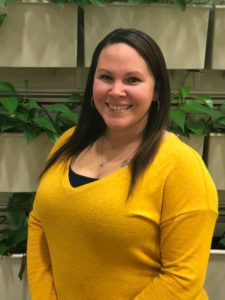 Born and raised in York County, Amanda graduated from William Penn Senior High School in 2005. After spending time in the U.S. Army Reserves, she found her calling in optics. Since January 2007, she has enjoyed a career in this field pre-testing in doctor offices and working in lab manufacturing. Her true passion is glasses, and as an ABO Certified Optician, she loves finding the best frames to fit each individual patient. Amanda brings her knowledge of lens designs and treatments to each consultation, so that patients are completely pleased with their results. Her goal is to help every patient see and look their best! She looks forward to continuing to learn more about optics as the technology continues to evolve to better fit patients’ needs. In April 2018, Amanda was excited to team up with Dr. Tiburtini and the rest of the staff at Infinity Eye Care to put together an amazing office. She loves the personal one-on-one time with each of their patients, as well as the at-home welcoming atmosphere their office offers. Outside of work she enjoys the perks of motherhood with her daughter and fur babies. She and her husband enjoy playing volleyball in their free time and traveling to fun new locations.